PAL’s First Youth of the Year is ready to graduate! Rashad Williams, who is a senior at Wayne Memorial High School, is excelling on the basketball court. Williams is an alumni of Detroit PAL and just so happens to be the first Detroit PAL Youth of the Year. 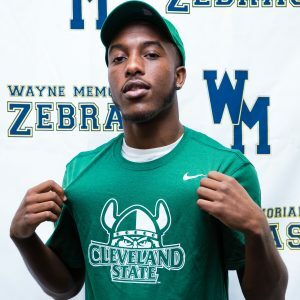 Williams has committed to play basketball at Cleveland State for the 2018-19 basketball season. Williams had a tremendous senior season for Wayne Memorial. The 6’3 guard chose Cleveland State over the likes of University of Detroit, Eastern Michigan, Miami (OH), Toledo, Kent State and others. He led his team to a 17-8 record and a district championship during his senior campaign. Williams has been involved in PAL since the age of eight. He started in PAL playing basketball with his school, Woodmont Academy, which is closed now. But one interesting note is that Williams was in the third grade playing on the fifth grade team. Williams played numerous sports in PAL as well. “I participated in track and football with the West Seven Rams,” said Williams. Kennard realized that his son could play at the collegiate level when he was only in middle school. “When he was in the sixth grade you could see that his ability to shoot the basketball and play the point guard position would translate to the next level,” said Kennard. Rashad’s father said that PAL was a key help in allowing Rashad to grow as a young man, on and off the court. “PAL helped him by providing a positive and safe environment to develop and showcase his skills and everyone from the opposing coaches to the referees not only did their jobs, but they went out of their way to teach him as well,” said Kennard. Everyone involved in PAL strives to do their best to make sure the kids have the best experience ever and Kennard attested to that. “As Rashad’s father, I’m the first to say that it has taken a village to raise my son and the positive adults around my son telling him the right things has helped shape him into the young man that he is today, and many of those adults came from PAL,” said Kennard. 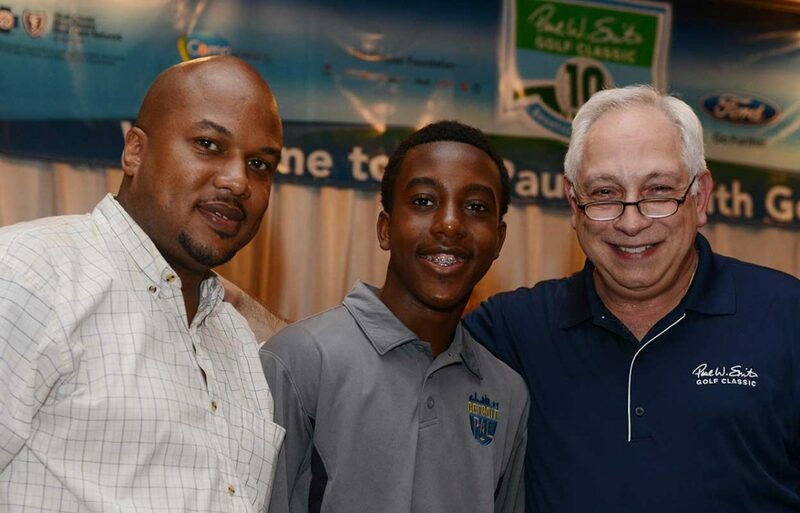 Through PAL, Rashad learned a lot outside of sports. “PAL taught me discipline and hard work and how to be a better person overall and give back to the community,” said Rashad. One thing that Rashad values is giving back to the youth in the community. “I want to be able to give back to the youth, like people did when I was growing up,” said Rashad. He also wants the youth to know to never give up on your dreams and trust the process and work hard each and every day. When Rashad gets older he wants to pursue a career in the NBA and if that does not work out he wants to be a business man or entrepreneur. But, no matter what he does, Rashad wants to make sure he does one thing. “I want to make a difference in the world and give people opportunities,” said Rashad.